Hi everyone, I'm on the Makin'sⓇ Clay blog with beach themed panel. 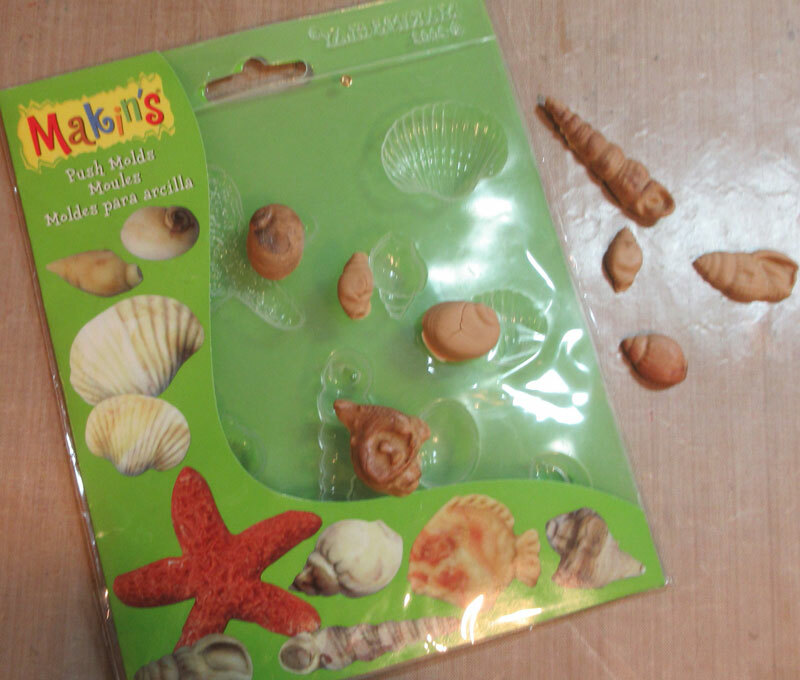 I was inspired by the realistic looking shells in the Makin's Sea Shells Push Mold. 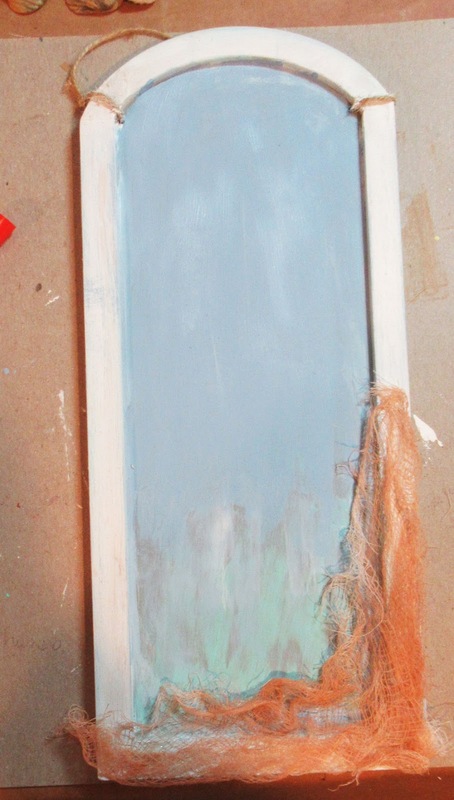 Start by painting the background of the wood panel with shades of blue. 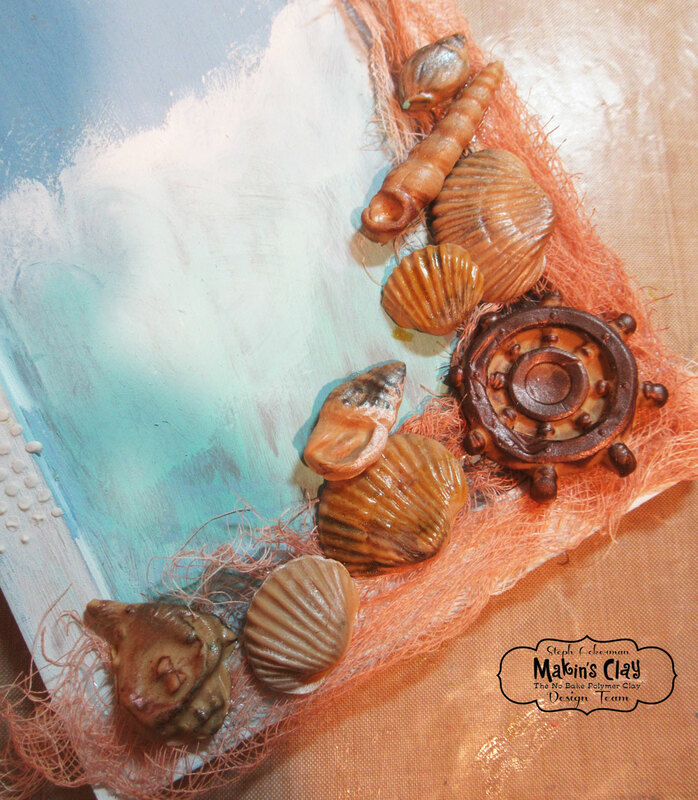 Adding white paint to the lower portion simulates the sea and waves. 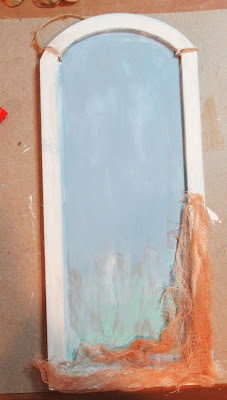 Spritz some mesh with glimmer mist and adhere to the edges of the panel as shown. Using terracotta clay and the Makin's Sea Shells Push Mold, create an assortment of shells. 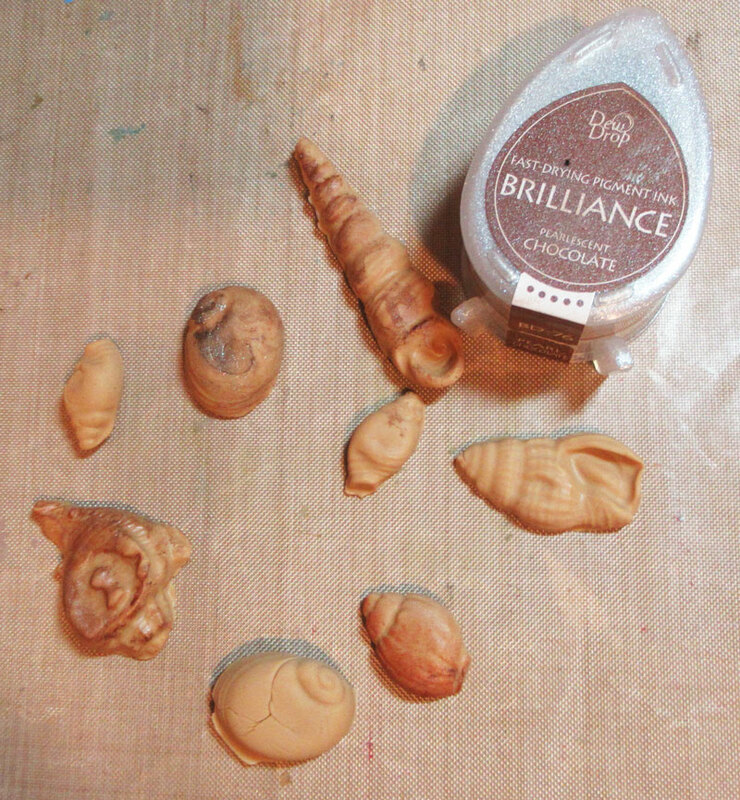 Using Brilliance Pearlescent Chocolate Ink, add random color to the shells. 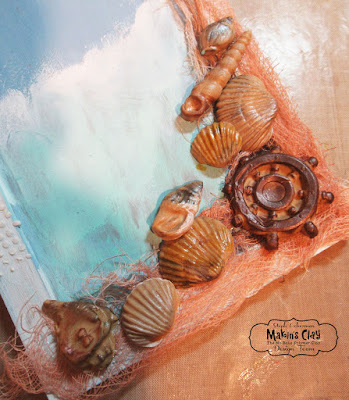 Arrange the shells along the edge of the panel and allow some to "float" across the panel. Spritz with glimmer mist to add some additional color and shine. I also added a ship's wheel, which I had previously created, in the corner. 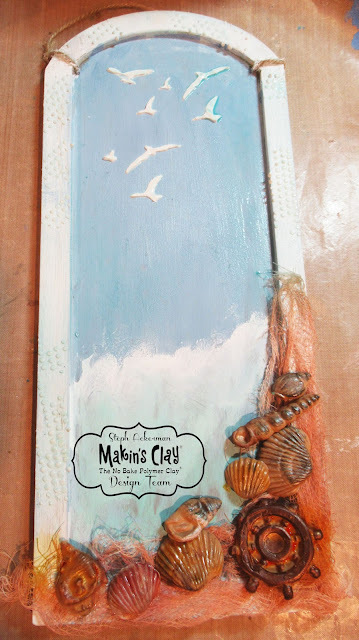 Add some birds to the panel using a stencil and molding paste. 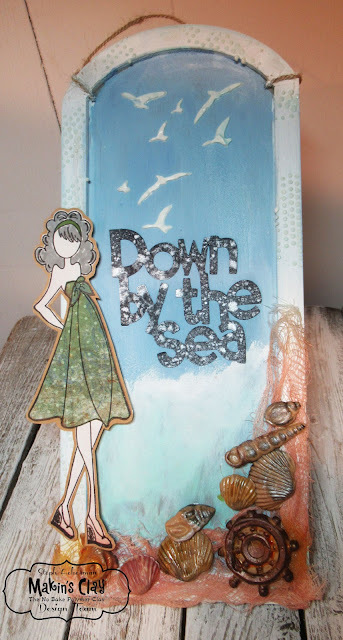 Add texture to the sides of the panel with a small grid stencil and molding paste. Paint the edges light blue. 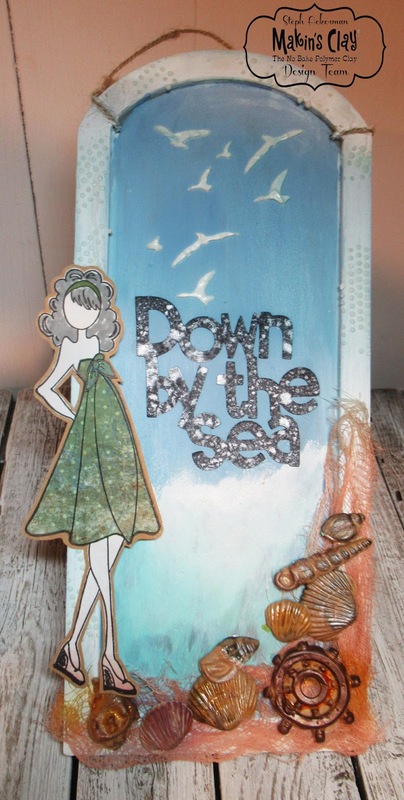 The beach gal was stamped and dressed, then added to the left side. Down by the Sea was die cut with my Cricut and spritzed with glimmer mist to give it a shimmery look. I hope I've gotten you in a summer mood! Thank you so much for another great project. Those shell looks like they were real!